This coming session of the United Nations Human Rights Council will decide the future of the Working Group on Minorities. FORUM-ASIA calls on the Human Rights Council to protect the voices of minorities at the United Nations and continue the mandate of the Working Group on Minorities. (Bangkok)FORUM-ASIA calls on the 6th Session of the United Nations Human Rights Council (HRC) to promote and respect the voices of minorities at the United Nations (UN) by continuing the mandate of the Working Group on Minorities (WGM). In this coming session of the HRC, during this institution building process, a decision on the future of the WGM will be decided. Discontinuation of the WGM means minorities loose a unique and accessible venue to share their concerns with the international community. It is estimated that twenty percent of the world’s population consists of minorities. Their concerns and issues are extremely important, ignoring them often results in poverty and conflict. In all regions of Asia, minority tensions have either boiled over or are nearing their breaking point. In this time of heightened terrorism alerts, isolating minority issues from the UN is not a sustainable solution. It is vital that the mandate of the WGM be continued as it creates an accessible place for minorities at the UN. Currently, non-governmental organisations (NGO) do not need UN Economic and Social Council Status (ECOSOC) to address and attend sessions on the WGM. This allows for an increased dialogue between governments and minority groups, raising the profile of their causes. The WGM must be maintained as it offers minorities , their organizations and advocates an opportunity to get their issues addressed using a global perspective. There are no other bodies of this kind that work to promote and protect minority rights. Even if the majority of governments concerned are not in favour of retaining the WGM, it should be maintained out of respect for minorities and their human rights. The mandate of the WGM does need reformulation in the form of strengthening in order to adequately address the multiple forms of discrimination faced by minorities all over the world. The WGM can also be strengthened by expanding their scope for intervention at various levels, making states more accountable for the human rights of minorities. For the WGM to continue to be effective there are minimum requirements that it must maintain. The WGM must continue to hold official UN meetings where minorities and their organizations can meet with UN officials and hold discussions with government representatives. NGOs that do not have ECOSOC status must continue to be allowed access to the WGM, not being barred by their lack of status. The WGM must continue to inform the HRC of the state of human rights for the world’s minorities. Any current discussion on the future mandate of the WGM must focus on how to make it stronger, not its abolishment. 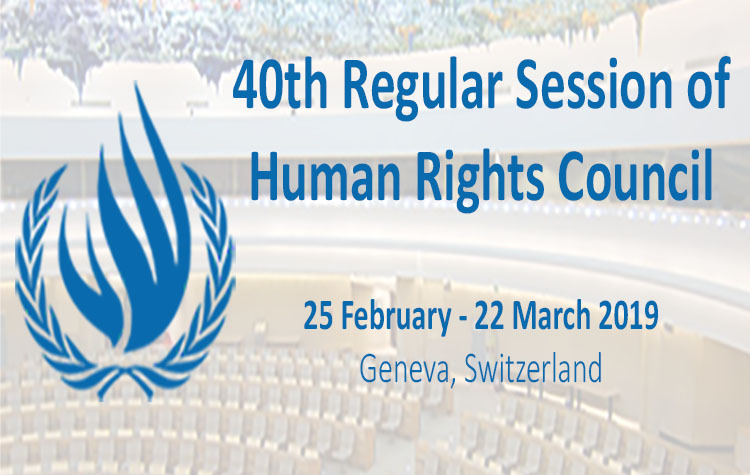 The HRC was established on the basis that it will promote “universal respect for the protection of all human rights and fundamental freedoms for all”1. Discontinuing the mandate of the WGM is in direct opposition to this essential mandate. FORUM-ASIA calls on the HRC to fulfill its mandate by protecting the rights of minority voices at the UN.